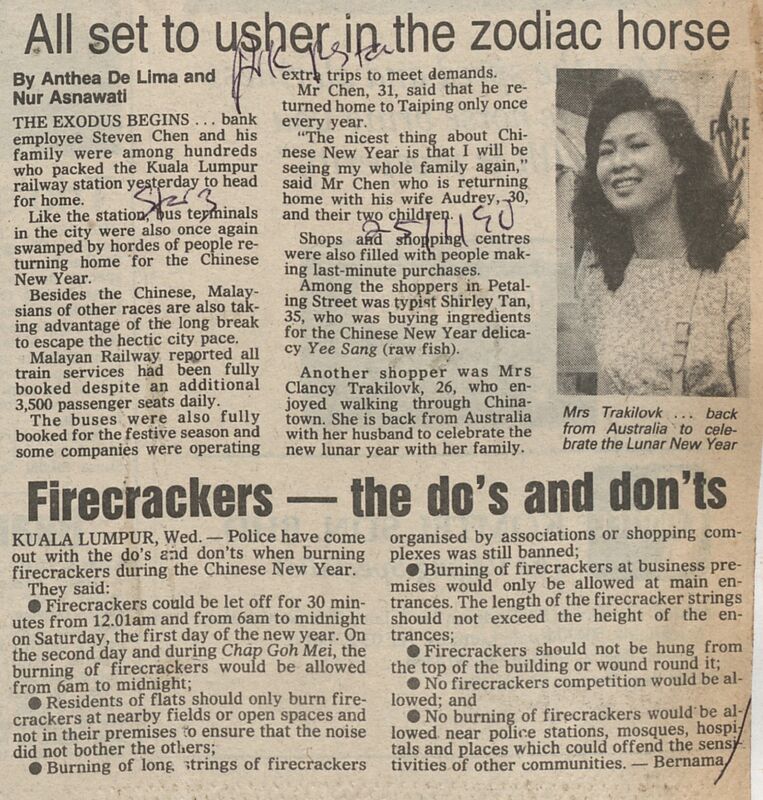 De Lima, Anthea (1990) All set to usher in the zodiac horse. In: Adat Resam dan Kebudayaan Jilid 2 1990. University of Malaya Library.